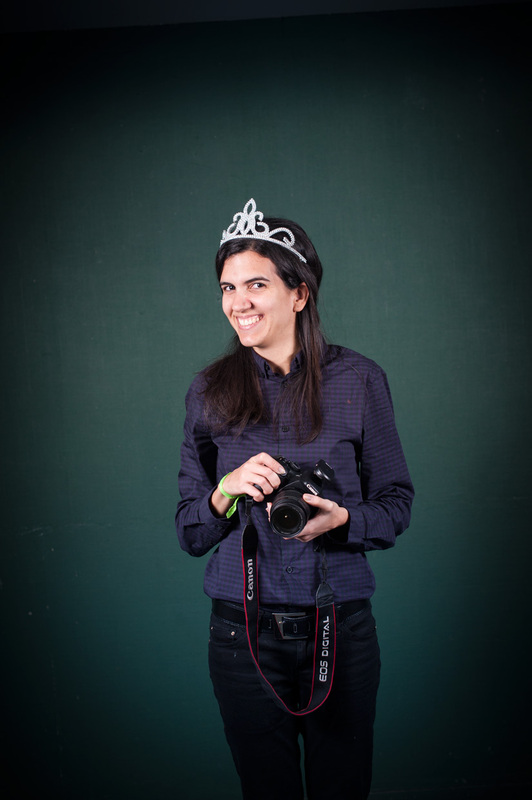 Joana had brought a lot of props for the photo booth. One prop that I particularly liked was the white board, it didn’t get used much, but it had so much potential. 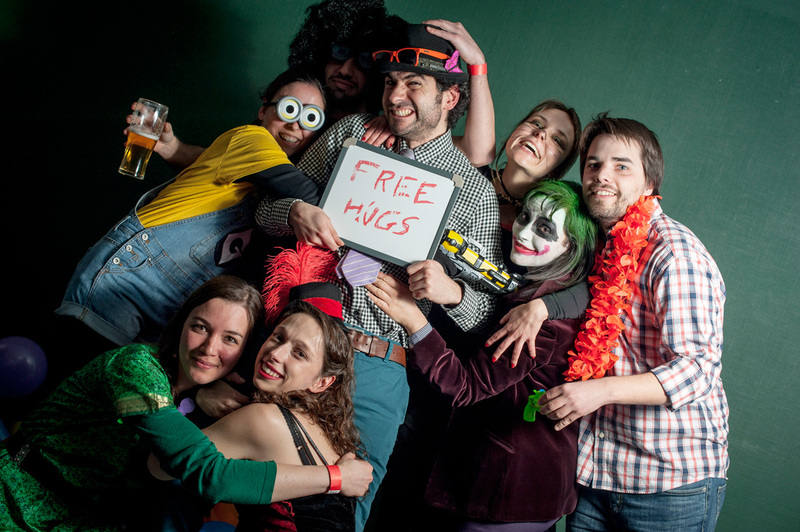 For example the “free hugs” sign prompted a big cuddle party in front of the camera, with people coming running to join in. 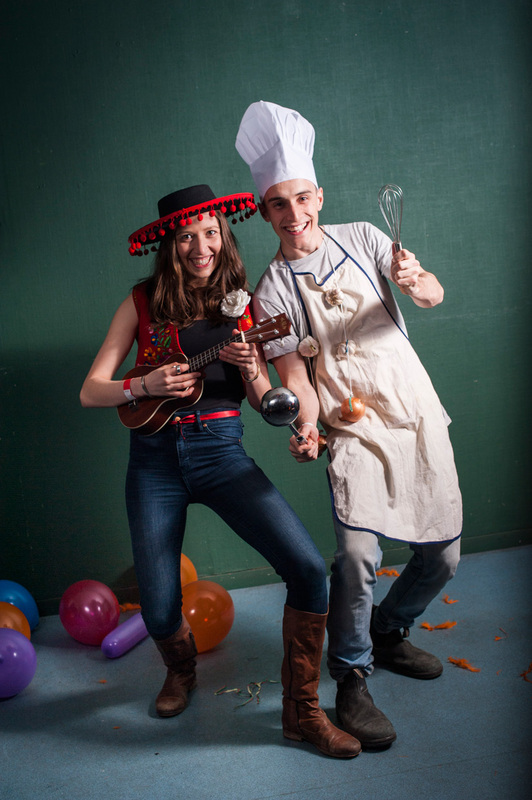 Yesterday was the Cambridge Portuguese Society’s Carnival Party. Joana Flores had contacted me regarding running a photo booth together at the party. I’ve never done that before, but I have played a bit with studio lights, and it sounded like a fun idea. We started planning it, the ideas just kept coming, and I got more and more excited about it. There was so much potential! We borrowed the studio equipment from the Cambridge University Photo Society: flashes, flash stands, shoot-through umbrellas and remote triggers. Joana organised all the props, brought her computer and a photo printer so we could hang some of the photos up for display. All I needed to do was to show up with my camera, and make sure the batteries were charged for the flashes that I brought. The party started at seven but, in what I learned is typical Portuguese fashion, it did not start until later, which gave us time to do a few test shots of the early arrivals. Balloons!! 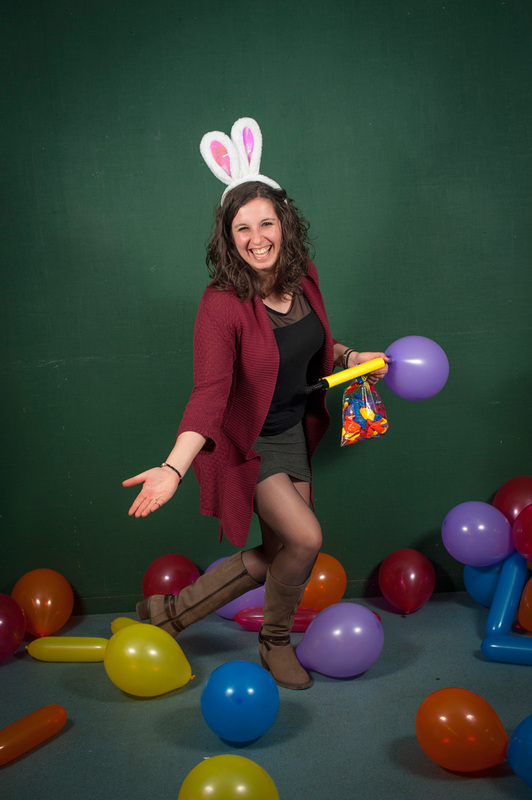 Joana Guedes in bunny ears taking a short break from pumping balloons. 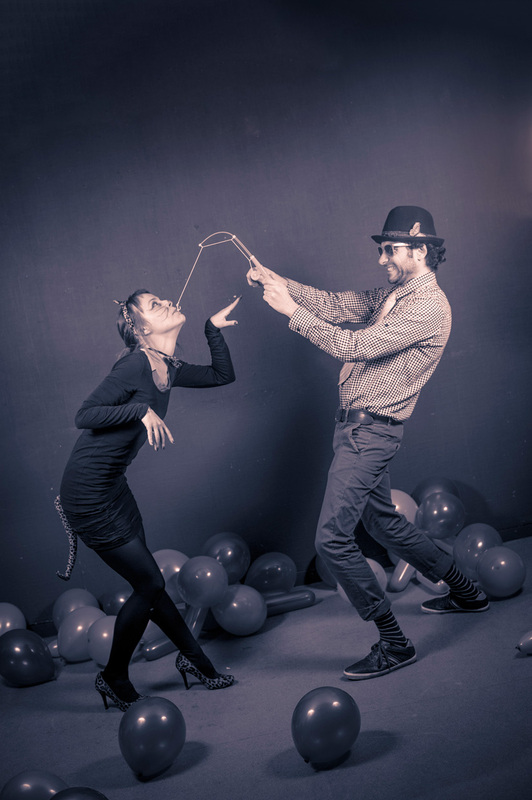 What I really like about this photo is Joana’s pose showing off the balloons at her feet. The DJ for the evening demonstrating one of our prop-glasses. Here I asked him to scream, and stepped in close with the camera. I could have cropped it even tighter, but I wanted to keep the text on the t-shirt. We had set up two flashes on stands, shooting through white umbrellas, one to either side. As a backdrop we had an old green wall with some imperfections and a small hole into the room behind. In retrospect maybe we should have moved the setup a bit to the left, because a few times when I stepped back to get a big group all in the frame, our little friend the hole appeared as well. This meant that I had to do a bit of photoshopping to get rid of it. Usually it was just a matter of using the lasso tool to mark the region and then apply content aware fill. Done! I ended up spending some time removing a few of the blemishes on the wall surface in different shoots, but I did surprisingly little photoshopping of people. Might have something to do with the sheer volume of photos. The final facebook album was just shy of 100 photos, out of a total of about 500. I did however put vingeting (darkening the edges) on almost all the photos in the album, it adds a bit of emphasis on the people. 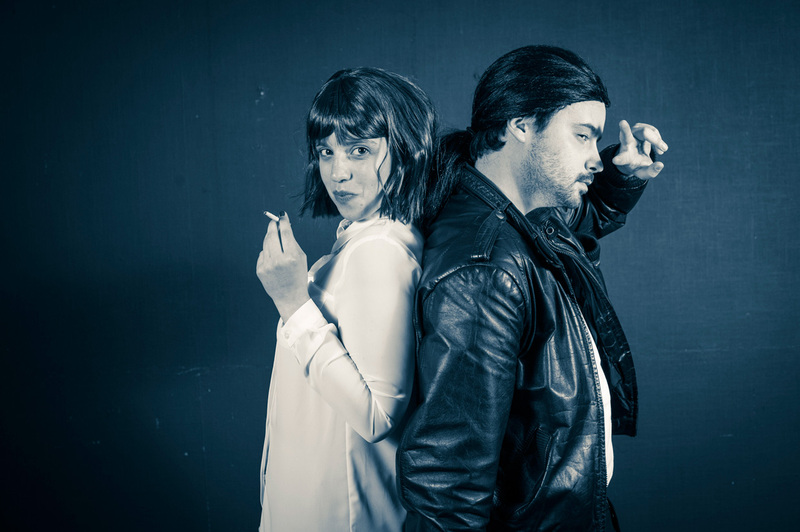 Rodrigo Santos and Eva Serrao posing for the camera. Here I guess Rodrigo is fishing for “cats” in a sea of balloons. I did not pose them or anything. There were other crazy photos, but this one is just so wonderfully absurd. With either of these two in front of the lens you never know what will happen! Joli Price and an unknown chef. Here like in most of the other photos I added vingeting to bring the focus on the subjects. I also had to add a gradient filter, to selectively increase the exposure of Joli’s pants as they were disappearing against the dark background. 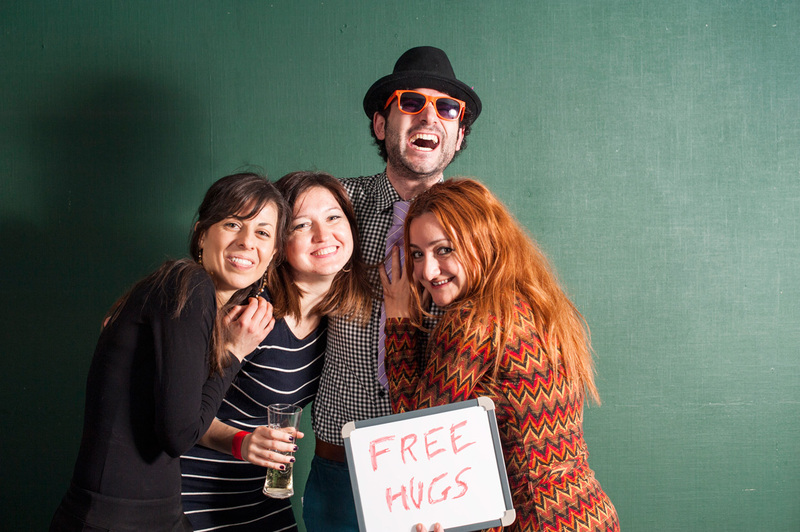 We had a steady stream of people coming by our photo booth for the entire night. Some people need a little bit of encouragement to get going, but others were really creative, and some (my favourites) also a little bit crazy! 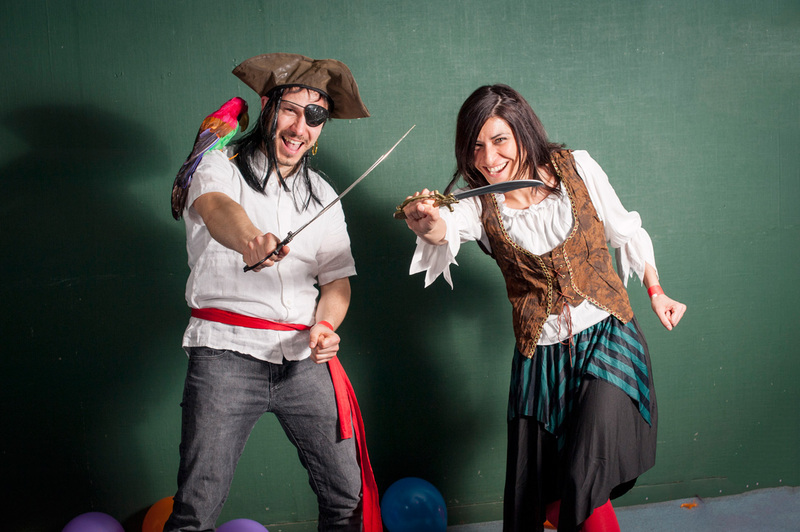 The party was open to all nationalities, and many people had spent a lot of effort on their costumes. There were pirates, the minions from “Despicable Me”, steampunk, a cat, John Travolta, Uma Turman and the Joker, just to name a few. 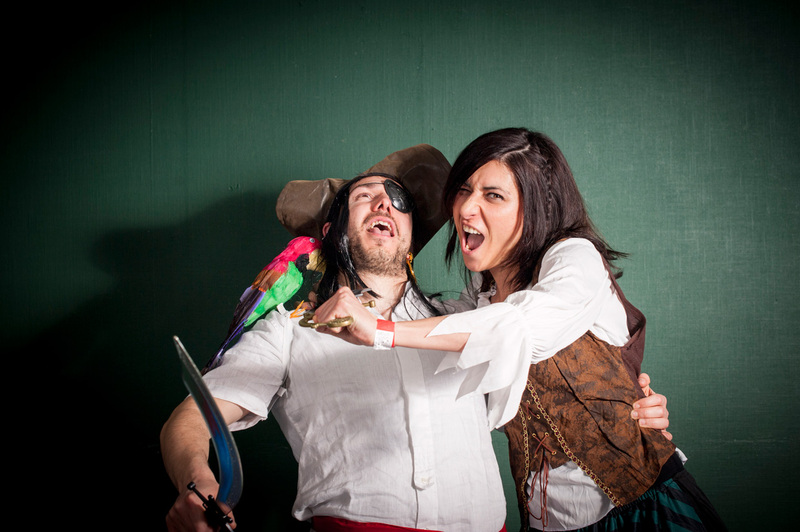 The pirates arrive in character at the photo booth! Betrayal! The unsuspecting captain becomes the ex-captain while the camera looks on. 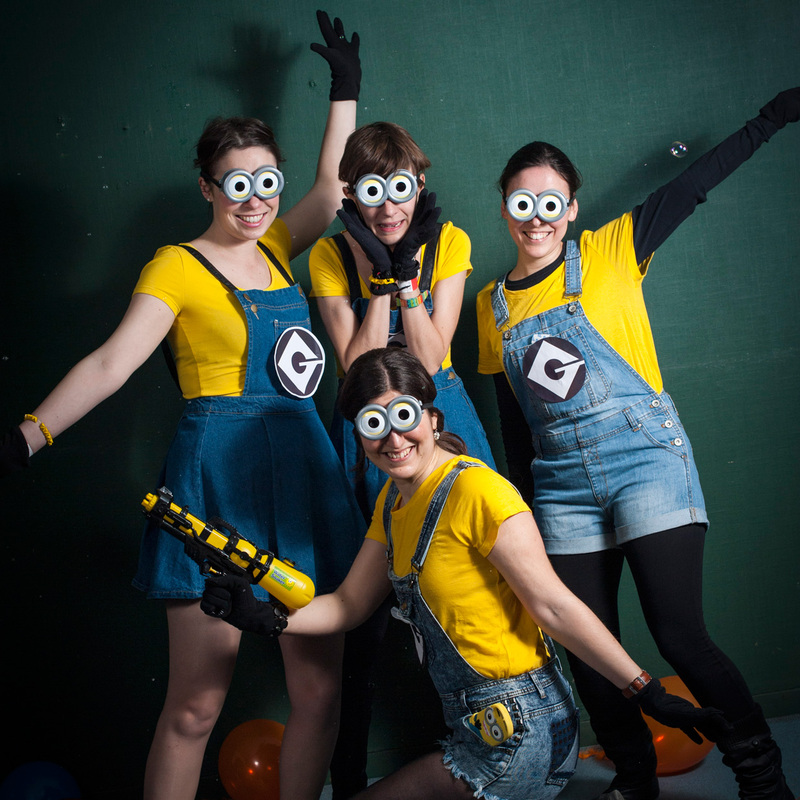 Nicola Joan Yolanda Stead, Mayra Furlan Magaril, Inês Milagre and Joana Martins as the minions from “Despicable Me”. They went to considerable effort putting this together and it showed. Annie Hox in her elaborate steampunk outift. This got us talking about organising a steampunk photo session for one of the post doc photo workshops. Uma Thurman and John Travolta attended the Carnival. Here I went for a black and white look with added split tones to set the mood. This is one of my favourite photos from the evening. 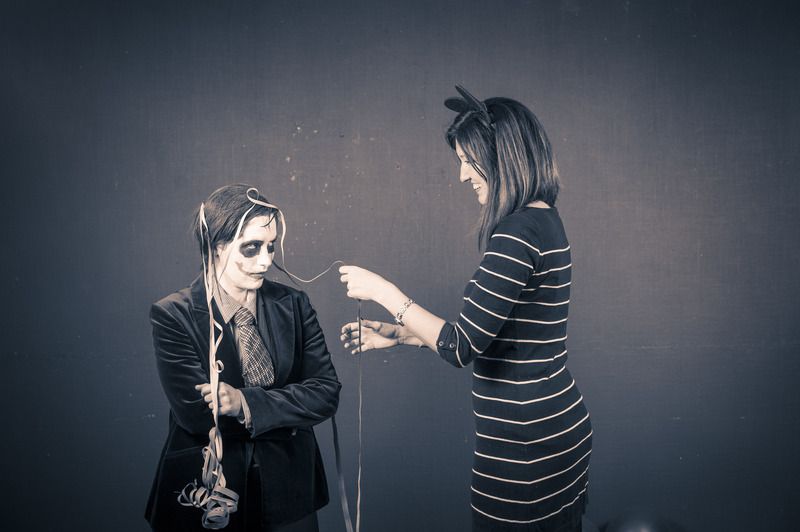 Ana Rebocho, as the Joker, is not impressed by being decorated by Emine Yilmaz. If you click on this image, or the others, then you get to see the photos in bigger size. Another prop we had was soap bubbles, here demonstrated by Ana Amaral and Maria Ana Peixe Dias. They always make for great photos. 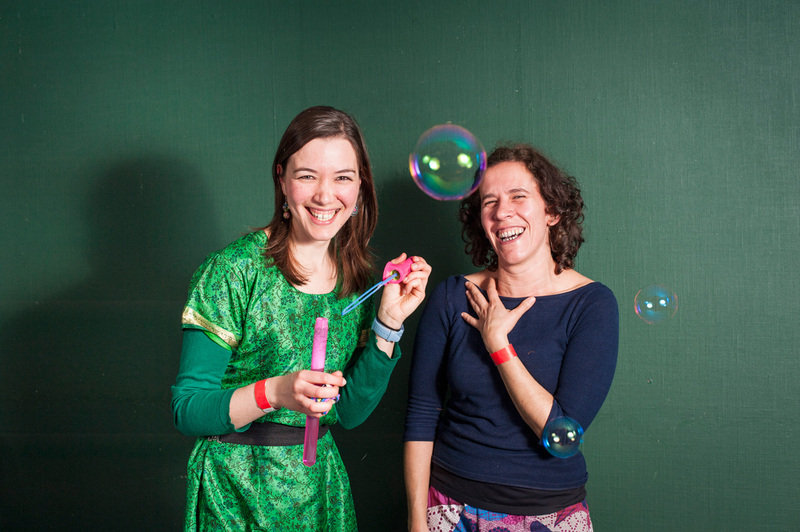 I like the spontaneous laughs in this photo and the soap bubble caught in the centre of the frame. One thing I learned was that it was quite tricky to see the soap bubbles in the viewfinder. So I ended up focusing, then trying to look up while holding the camera steady, to see when the bubbles were coming so that I could shoot at the right moment. Of course, what I could have done was just open my left eye (while still looking through the viewfinder with my right)… Why did I not think of that then? Rodrigo was really milking this sign for all that it was worth. 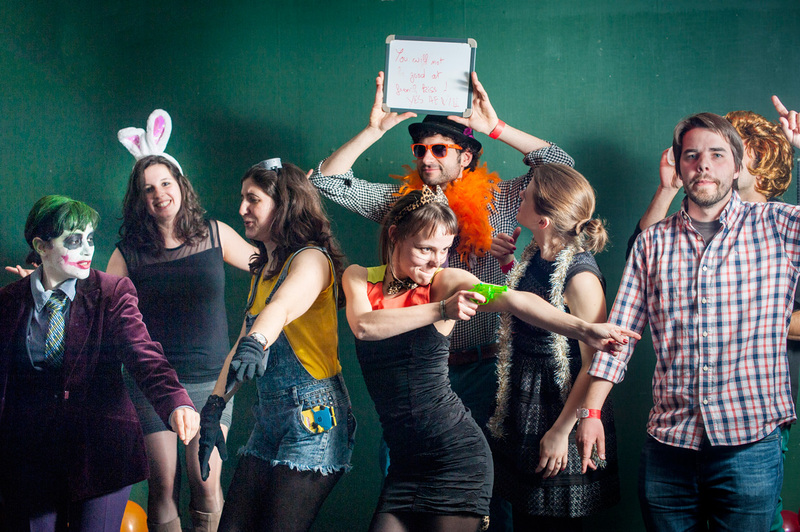 To give the photo of the committee a bit more life I asked them to dance in front of the camera. You can’t really see everyone, but there is plenty for the eyes to look at in the photo and it was quite fun to shoot. Try and pay attention to how your eye moves around in the photo. Around midnight the Portuguese people started gathering for “Comboio”, or the train, which is a long dance at the end of the party. I don’t normally dance, but that got me going. From what I have been told it is really high quality music that gets played at that point. Cheesy high quality music, ok more cheesy than quality. Good times! Woke up very early this morning. I usually want to get the photos edited as soon as possible, while people still have the event fresh in their memories, and also to avoid a big backlog. It took me a bit over four hours to post process these. What did I learn from this photo shoot? Make sure the backdrop is clean, to avoid extra post processing. Here it was not so bad, but it could have been a bit less work. The borrowed flashes started becoming a bit temperamental after a while, not always firing. Sometimes the best expressions were in photos where only one of the flashes fired. It is possible to rescue the photos to a certain extent in photoshop by applying selective brightening of the image (see my previous post about post processing), but ideally that should not be necessary. We started out with both flashes set to the same power, but for some shots (in particular single person portraits) I chose to either move one of the flashes back, or decrease the power, to get more interesting light. This caused one side to be better lit, and the background slowly fade into shadow towards the other end. The best photos are the one that have a small story behind them. A photo shoot like this is all about the people and having fun. The props Joana had brought helped give people a creative outlet. 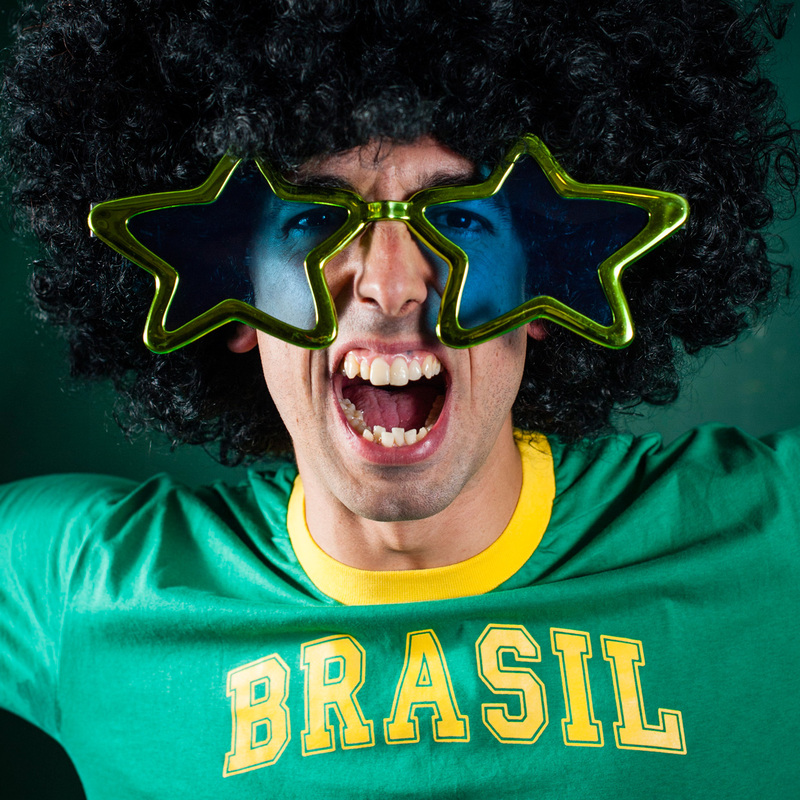 If you have a chance to do a photo booth at a party then give it a go, you will have a really fun evening!